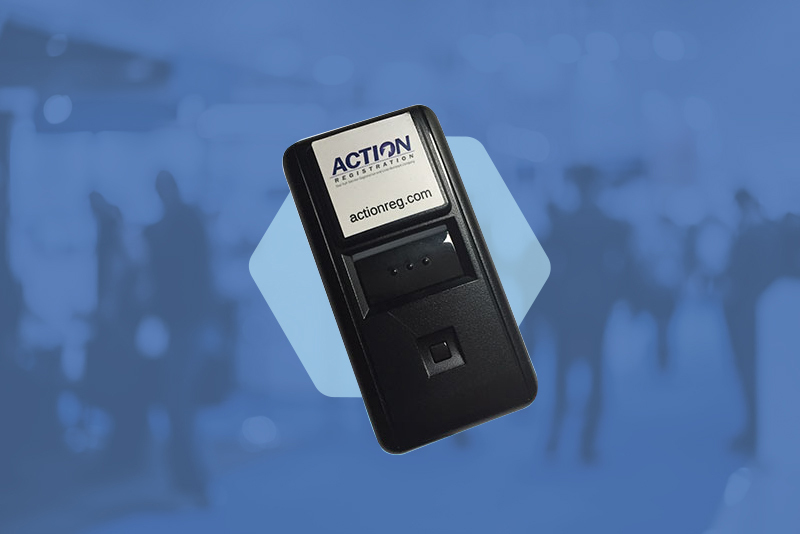 Action Registration provides a full spectrum of event registration services for trade shows, conferences, seminars, and corporate events. 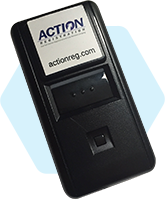 Action Registration offers full lead retrieval services for show organizers that need both a lead retrieval and registration solution. We also provide retrieval only services for show organizers who have a registration system in place and just need a lead retrieval solution. We can integrate with just about any registration. Don’t see something in our list below, ask and we can get it done. This unit is small (the size of a stop watch), battery operated unit. Reads only 1D bar codes and scans only the bar code on the badge, no follow-up codes. 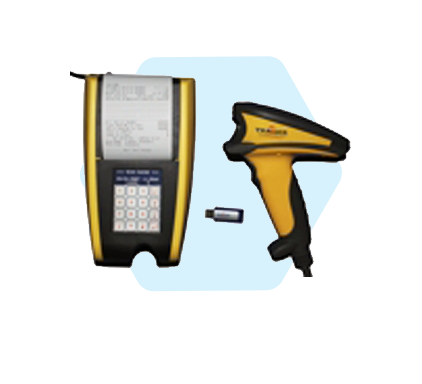 This unit is our most popular unit due to its low rental cost and fast, efficient scanning. This unit holds approximately 500 leads and is a simple point and shoot device. It comes with a wrist leash, so you can keep it handy for any scanning opportunity. At the close of the show, turn the scanner in and then receive an email of your leads. 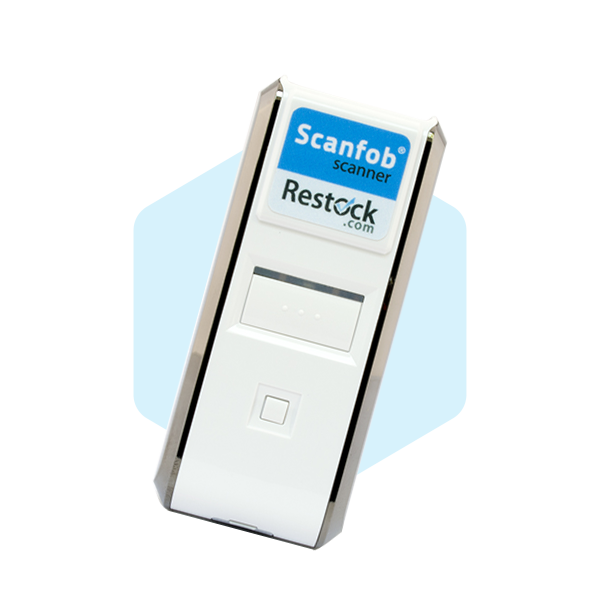 This light weight, simple and sleek, portable scanner holds up to 5000 barcodes! It is a fast, efficient scanner for the budget minded exhibitor or client. Leads are downloaded for you and emailed directly, usually within 24 hours after the event, in an excel format. 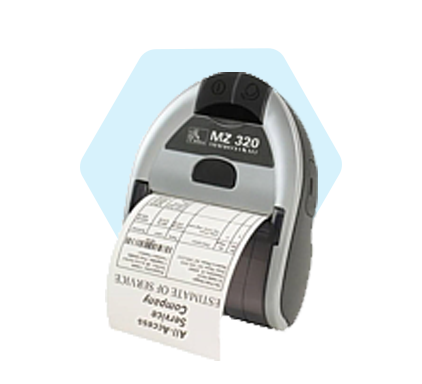 This scanner can be used just to scan badges or with a qualifier sheet (an additional cost). This scanner is great for continuing education or session tracking! Leads will be automatically sent to a password protected cloud, where you can retrieve your leads at any time. Battery operated and encased in a battery pack, so your scanner can last for days on a single charge! You can customize qualifiers and add specific comments to an attendee’s scan at anytime. Touch screen, lightweight, and battery operated, 3 different readers built in to each “mi” seamlessly support both 2D and 1D Barcodes, Magnetic Stripe, and RFID technologies. “mi” features a quad band GPRS modem for real time connectivity. Scanned leads are transmitted wirelessly and securely to the Zebi or SmartMobile systems for easy and instant lead management. An optional blue-tooth mobile printer for use with the “mi”. An optional bluetooth mobile printer for use with select scanners. 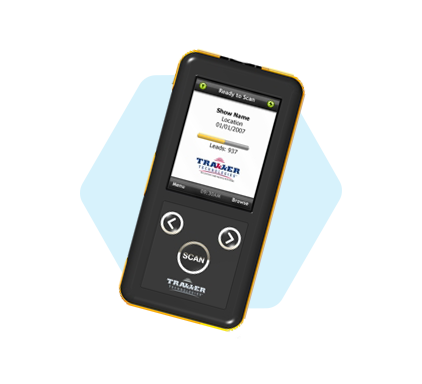 The Trakker features a touch screen interface, color video display, and a built in printer, and has all the functionality of the “mi”, its mobile counterpart. Leads can be transmitted wirelessly and securely to the Zebi or SmartMobile systems and saved to a USB thumb drive. 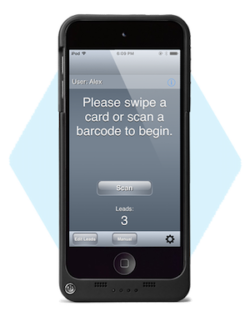 This solution allows exhibitors to use their own smart phone for lead retrieval. 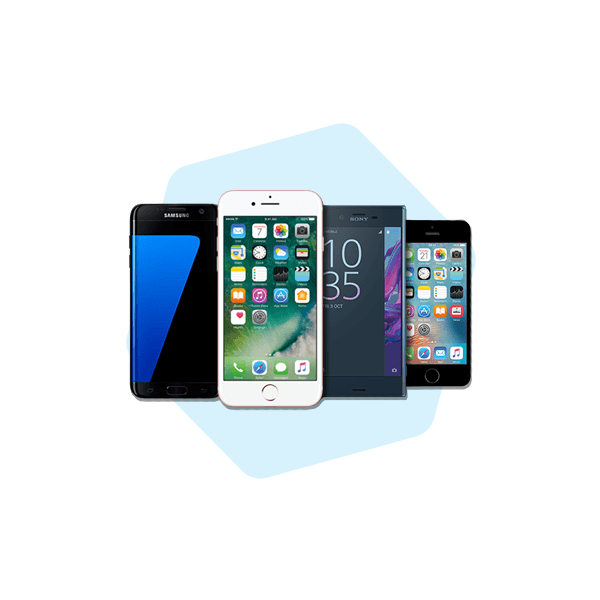 We offer a solution that is deployed across the multiple smartphone platforms – including iPhone, Android and Windows. Exhibitor’s can only browse or view during the event. Data on the device is not accessible by the user. 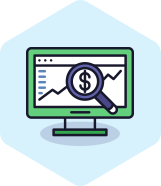 Exhibitor must visit the Event’s portal to retrieve full data. *This option is currently not available.